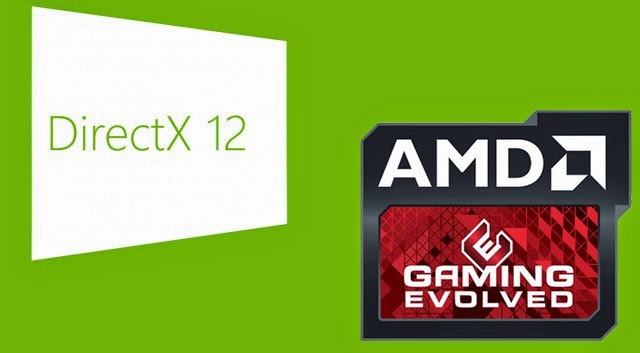 Microsofts Windows 10 is just around the corner and hence DirectX 12 is as well. Both will come as a bundle release as the new Windows will feature DirectX 12 by default. 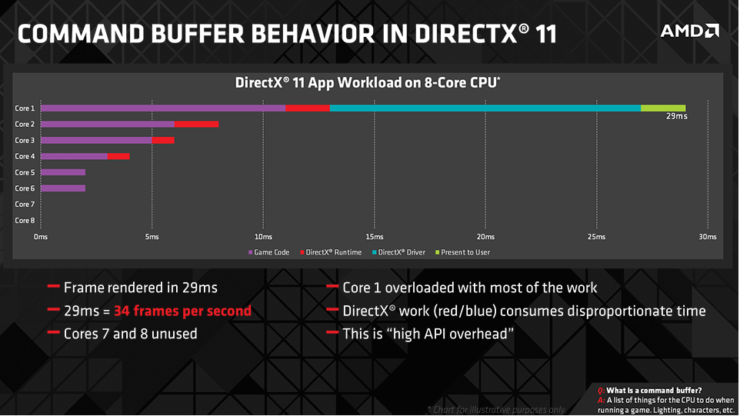 Today, on their technology blog AMD’s Radeon graphics division came out and explained two major features included in Microsoft’s upcoming low level API, DirectX 12. The first of the two is Async Shaders a new technology that promises performance improvements upwards of 45%. 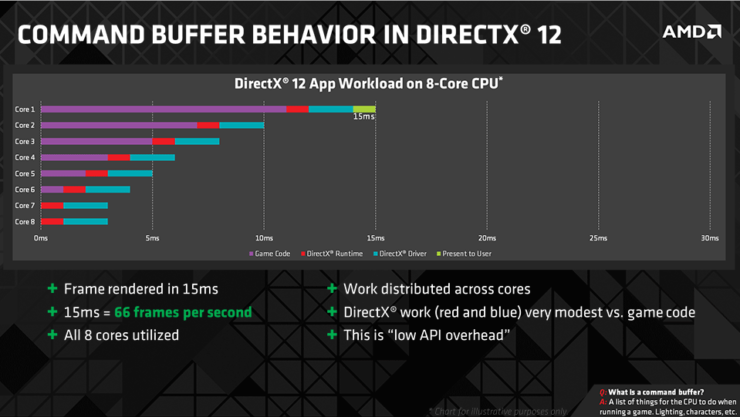 We covered this ground-breaking multi-threading feature of DX12, Vulkan and Mantle in-depth just three weeks ago. In addition to Async Shaders AMD has also talked about a brand new feature called Multi-Threaded Command Buffer Recording which has the potential to be just as brilliant as Async Shaders. Up until now, releases about the new DirectX 12 have not disappointed us and a clear difference in performance can be witnessed from comparisons of the new API with the old one. Lets have a look at what the new features are. So basically, this works as a multi-lane superhighway on which data can move back and forth very quickly, at low latency and in huge bulk. In comparison, DX11’s capability here would be more comparable to a small two lane road in the same analogy. 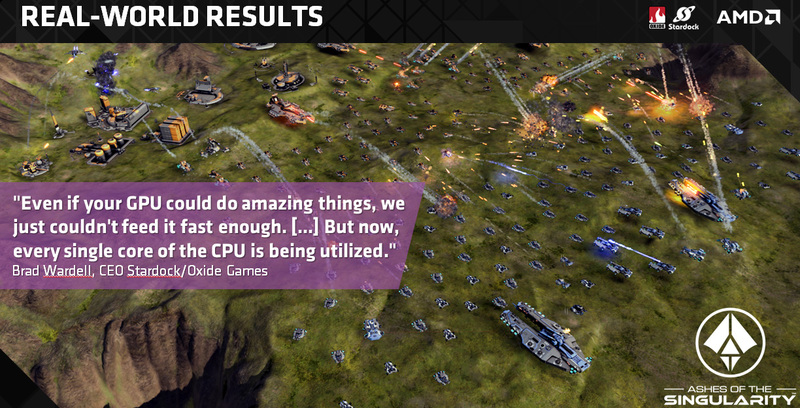 Oxide’s Ashes of the Singularity is the first upcoming game which will fully take advantage of this DX12 capability. To wrap it up, I think both of these features will work very well together and compliment each other. 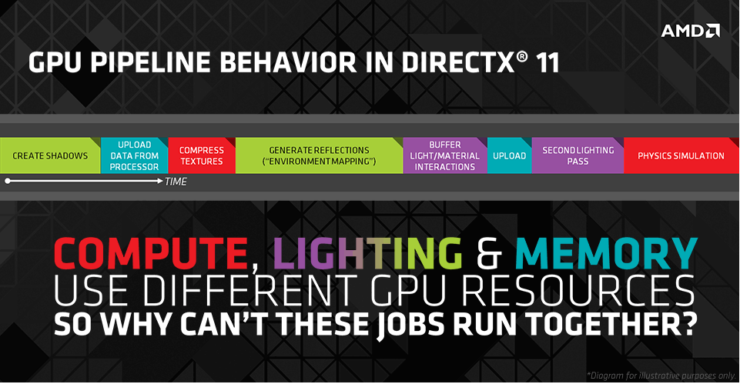 The more efficient, faster processing and smarter utilization of GPU resources mean that any GCN GPU out today, that is the HD 7000 series and up would see a sizable performance improvement just by going from DX11 to DX12 . 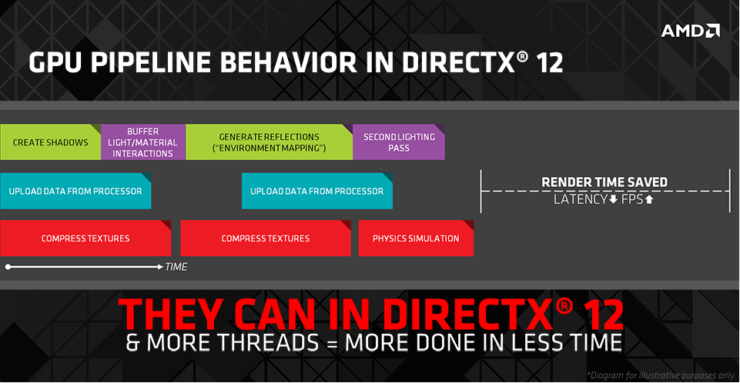 With that being said, do share your thoughts on these two particular DX12 technologies and DX12 in general.